Venture to the very tip of northern Taiwan, an area embraced by mountains and the Pacific Ocean stretching to the northern horizon. Experience seaside living at Keelung Harbor, a commercial port with a thriving community in a beautiful setting. Pay a visit to Chung Cheng Park, home to the 25-meter Goddess of Mercy statue and offering spectacular views of Keelung and the ocean from its ornate pavilion. 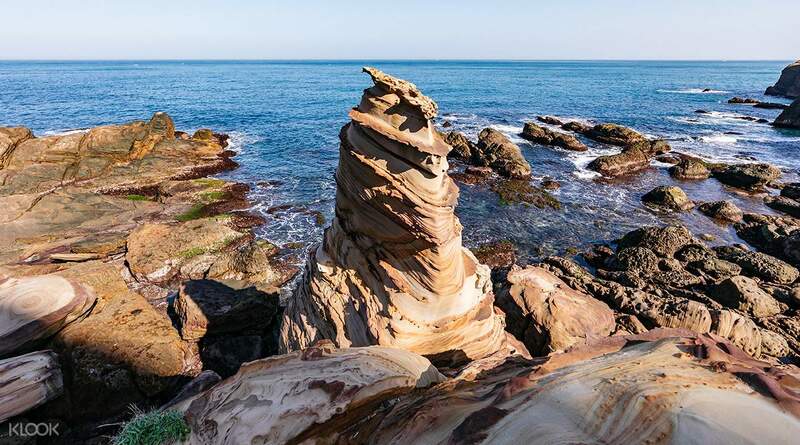 The journey continues to Yehliu Geopark – a fascinating coastal rock park featuring some out-of-this-world rock formations, including one that looks like a queen's head! The places we visited are very nice. I appreciate the beauty of the geopark. Our tour guide Michelle is very very very nice and accommodating. She always smiles and crack jokes. She speaks English fluent and she knows some Tagalog words. The tour and tour guide are great. Hope we our tour guide Michelle again in our next Taiwan tour. Our driver is also nice. The places we visited are very nice. I appreciate the beauty of the geopark. Our tour guide Michelle is very very very nice and accommodating. She always smiles and crack jokes. She speaks English fluent and she knows some Tagalog words. The tour and tour guide are great. Hope we our tour guide Michelle again in our next Taiwan tour. Our driver is also nice. Is a must visit this one tour, the natural charm is very unique, I really like this tour because is very charming, the tour guides are very communicative and provide good explanations during the tour, don't forget to prepare your pocket or handphone camera optimally because there are lots of beautiful landscapes. Is a must visit this one tour, the natural charm is very unique, I really like this tour because is very charming, the tour guides are very communicative and provide good explanations during the tour, don't forget to prepare your pocket or handphone camera optimally because there are lots of beautiful landscapes. Our driver is on time for pick up and drop off. He's also friendly. We enjoyed the tour even if it's sooooo hot specially in Yehliu Geopark. Just present the voucher to the driver upon pick up and off you go. Our driver is on time for pick up and drop off. He's also friendly. We enjoyed the tour even if it's sooooo hot specially in Yehliu Geopark. Just present the voucher to the driver upon pick up and off you go. The tour guide assigned to us was James while the driver was Jason, they arrived right on time at the hotel. We shared the van with two Australian women. We arrived at the Goddess of Mercy before 9AM but it was raining, we were able to borrow umbrellas from Jason. The best part of the tour was Yehliu Geo Park, though fearing rain, James advised us to buy raincoats from the Visitor’s Center at $50 (NTD) each, because the umbrella would be useless due to the wind. Luckily, it didn’t rain, we could use the raincoats some other time. The guide was knowledgeable in the best angles for the rock formations and saved us much time instead of queuing at the lines for the photos. 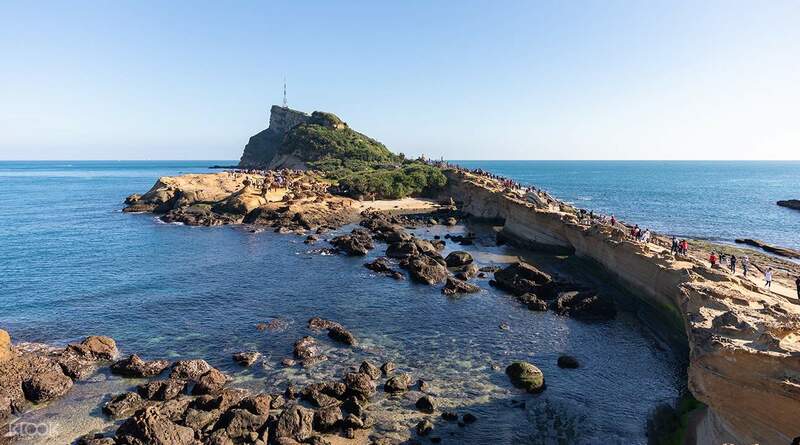 It would be challenging for families with seniors or small children to take this tour for it involves about two hours of walking, going up steps, and uneven terrain but possible. For families with teens, it is a must and highly recommended tour, these rock formations may be gone in the future so best take it while you can. Tips: do not touch or sit on the rock formations themselves. The tour guide assigned to us was James while the driver was Jason, they arrived right on time at the hotel. We shared the van with two Australian women. We arrived at the Goddess of Mercy before 9AM but it was raining, we were able to borrow umbrellas from Jason. The best part of the tour was Yehliu Geo Park, though fearing rain, James advised us to buy raincoats from the Visitor’s Center at $50 (NTD) each, because the umbrella would be useless due to the wind. Luckily, it didn’t rain, we could use the raincoats some other time. The guide was knowledgeable in the best angles for the rock formations and saved us much time instead of queuing at the lines for the photos. It would be challenging for families with seniors or small children to take this tour for it involves about two hours of walking, going up steps, and uneven terrain but possible. For families with teens, it is a must and highly recommended tour, these rock formations may be gone in the future so best take it while you can. Tips: do not touch or sit on the rock formations themselves. Very convenient booking this by Klook. you just wait to be pick up in the hotel and they will drop you off also back to your hotel. The tour guide Is very accomodating. 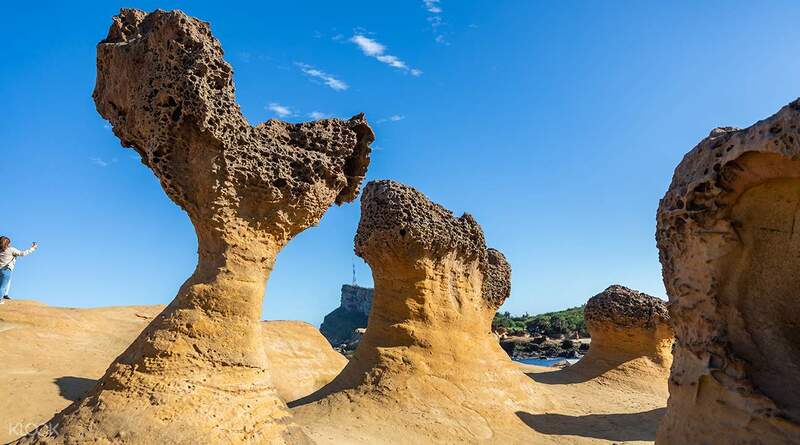 i love Keelung City and Yehliu Geopark, this is one of the most famous sightseeing in Taiwan that you must not miss. Very convenient booking this by Klook. you just wait to be pick up in the hotel and they will drop you off also back to your hotel. The tour guide Is very accomodating. i love Keelung City and Yehliu Geopark, this is one of the most famous sightseeing in Taiwan that you must not miss. Beautiful rock formations. As per the tour guide, everything is natural. Though I suggest, to bring umbrellas as it weather can be hot during spring or summer. Beautiful rock formations. As per the tour guide, everything is natural. Though I suggest, to bring umbrellas as it weather can be hot during spring or summer. Tour guide is fun. Not a very big group hence you will feel like a private tour! 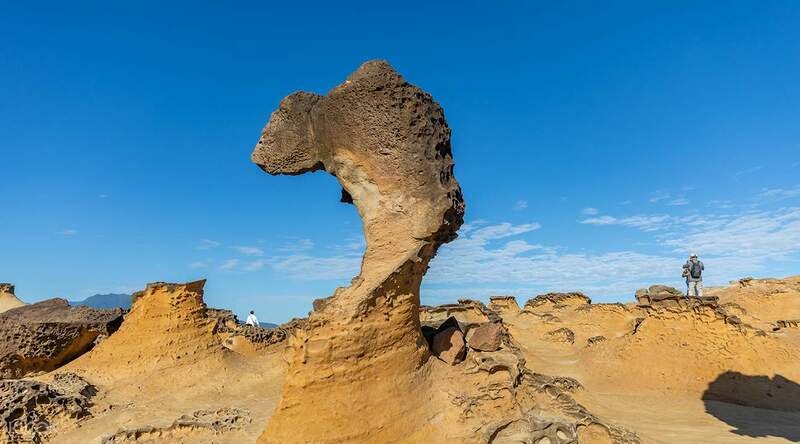 Although the yehliu geopark had too many tourist but it is a nice place to visit. Tour guide is fun. Not a very big group hence you will feel like a private tour! 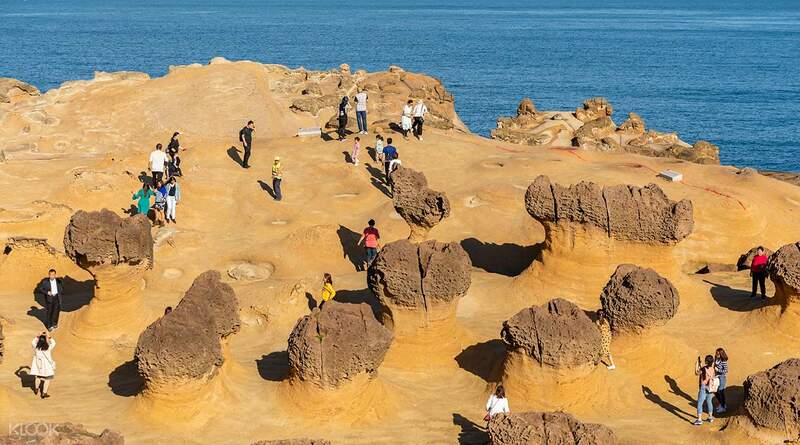 Although the yehliu geopark had too many tourist but it is a nice place to visit.